However, anyone who’s taken a London Tube journey more than once knows there’s a lot more involved to becoming a savvy underground traveler. 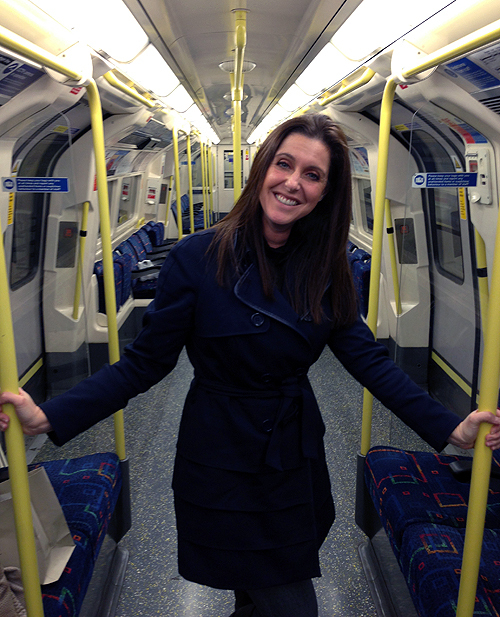 Advice for Riding the London Tube #1- Avoid the Traveling Circus! 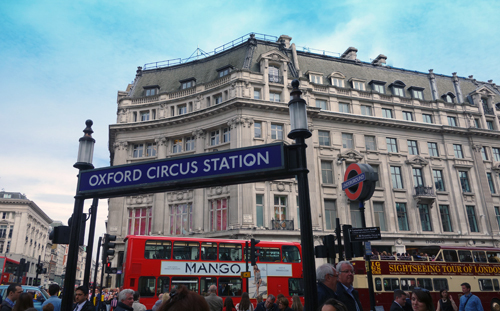 Oxford Circus and Piccadilly Circus are indeed… CIRCUSES! Ok, so you probably won’t see people riding elephants. However, you will see complete and utter chaos! This is largely because they’re highly concentrated areas for tourists. If you’re a New Yawker, think Times Square. Further, Victoria Station is popular because it’s a hub for people going to and coming from Gatwick Airport. Therefore, nearly everyone in transit there is battling an out of control, ginormous suitcase. Sounds like a fun group to walk around, eh? 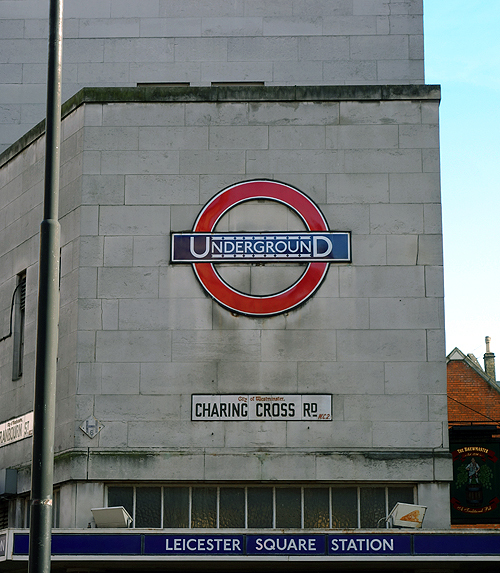 Although Covent Garden is my fav place in the world, it’s tube station is NOT! I never start or end a journey at this location. There are no escalators, just a lift. It’s a sadistic trap for anyone claustrophobic. Talk about turning Eden right in to Hell! Riding the London Tube Advice #3- MapQuest It! Be sure to look at an actual map with stations marked, rather than just the Underground Map from TfL. 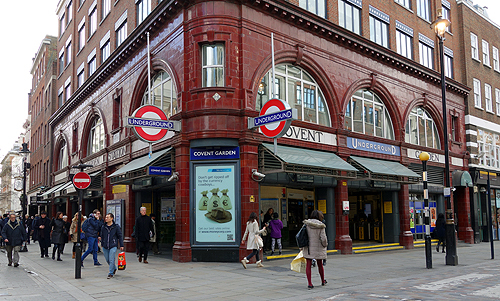 I always use Leicester Square Station when going to Covent Garden. It’s a quick walk and allows me to avoid being smashed like a helpless bug in a box underground. Sometimes it can be faster to walk to a location rather than change stations. Check out this area near Regent’s Park. 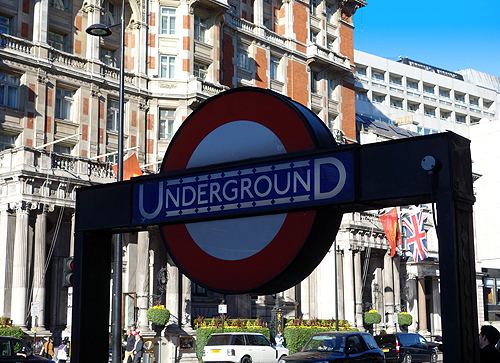 Within a 5 minute walk, you can find Baker Street and Great Portland Street stops (on the Metropolitan, Hammersmith & City Line, and Circle Line), Euston (Northern Line), and Warren Street (Victoria and Northern Line) and Regent’s Park (Bakerloo Line). Riding the London Tube Advice #4- Watch Yourself! If you use an Oyster Card and travel outside Zone 1, it literally pays to look at your watch before starting a journey. Peak travel times are Monday-Friday 6:30am-9:30am and 4:00pm-7:00pm. Your travel rate is determined when you swipe your card IN to start a journey. So, I start journeys at 9:35am, 3:55pm, and 7:05pm whenever possible. This puts me out of Peak Travel times/rates. 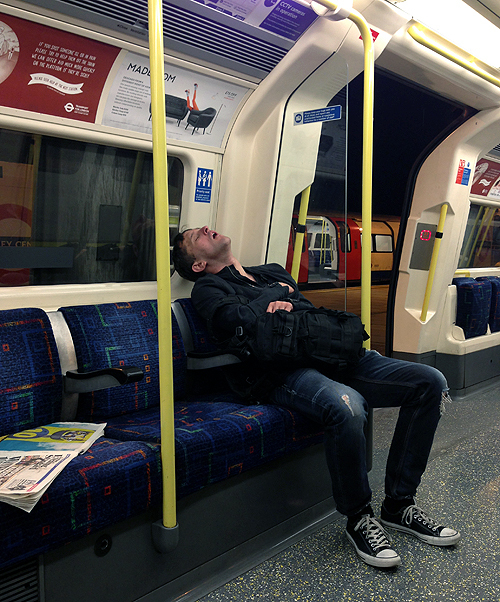 There’s a little advice for riding the London Tube. What questions or tips do you have, Sunny friends? I would add that if you have a buggy, really research what the route you are taking because navigating a child in a buggy on steep stairs is a complete pain. Some of the stations have lifts – many don’t. And, you can’t rely on the kindness of strangers because lots of able-bodied men will just ignore your plight. Great suggestion! I was going to add some information about baby carriages in a future post, if I do one. I always feel bad for the girls with them when I see them. I’m amazed at how they manage them when I struggle just managing a handbag and water bottle! Oh no! I’ve been lucky the two times I did it that my husband was with me. Otherwise, it would’ve been a real disaster. Hope your trips ended ok and you didn’t end up on the other end of a line in the wrong direction with all your stuff stolen! Great tips, Sunny! Can I also add in, if you’re a tourist, for the love of God, take off your giant backpack when on the tube. There’s nothing worse than getting a backpack to the head! Oh that’s a GREAT point! Thank you for adding it! I would say MOVE DOWN inside the carriages to let other people on. Makes a happier journey for all! Thank you, Sammy! I agree! Whenever I have to suffer a change at Victoria Station, I always head to the very end because everyone clusters right at the top of the stairs. It’s always easy to get a seat in an end carriage there. Great tips! I would add “let people out of the train first”! And also avoid Camden Town station at weekends! Tina, the Camden Town tip is genius! I guess everyone makes that mistake once, right? 😉 I’ll never forget the time I went through there on a sunny day. Huge mistake! We stayed in Slough because it was close to Legoland and cheap. We took GBR before changing to the Underground to get into central London. Changing at Paddington was a hassle, so many platforms and the underground is in a different area. Changing at Ealing Broadway was way easier, only four tracks total. When it says stand behind the yellow line they really do mean it especially when an express goes past!! I didn’t know trains could go that fast!! Make sure the train stops at your station and is not an express where the next stop is in a different zone to what you have paid for. Arriving from Heathrow with a huge suitcase, and taking the tube to keep the cost down. If you want to end up at a station served by District, Circle or Metropolitan lines (known as the sub-surface lines) I highly recommend changing at Barons Court, as the Piccadilly line and District line are on opposite sides of the same platform, if you go to Earl’s Court you will have to struggle up an escalator.